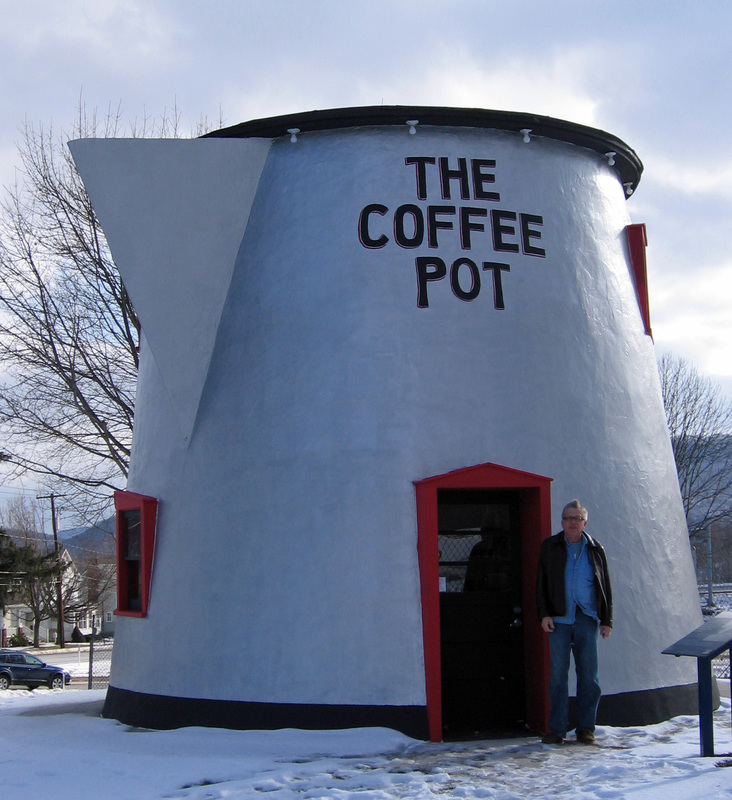 Pennsylvania Coffee Pot – The Home of My "Big Things"
This Big Coffee Pot is on US-30, the Lincoln Highway, in Bedford, PA. It was designed and built in 1927 by Bert Koontz to stand out front of his gas station. It served snacks and ice cream until 1937 when it became a restaurant and bar. There was once a Greyhound bus stop there providing plenty of customers. It was moved to it’s current spot in 2004.